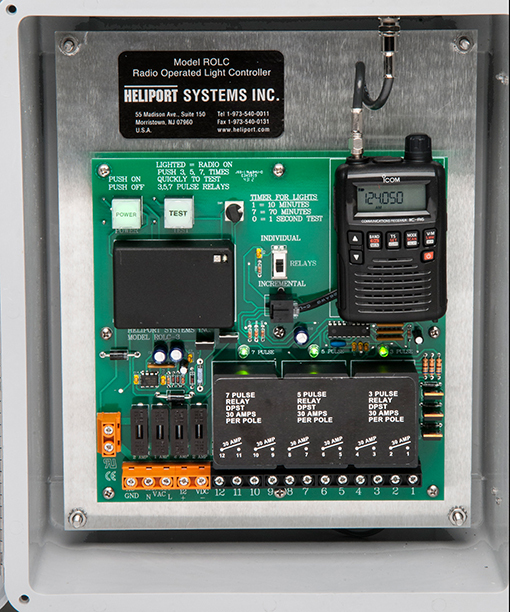 Heliport Light Controller | Heliport Systems Inc. 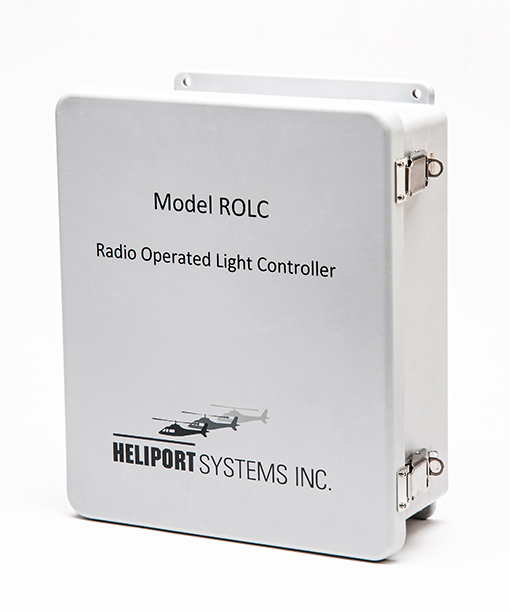 The Heliport Systems radio-operated lighting controller permits pilots when flying to an airport or heliport to turn on airfield lights utilizing their existing the aircraft VHF 118-137 Mhz band radio (Military UHF 225- 450 Mhz band). 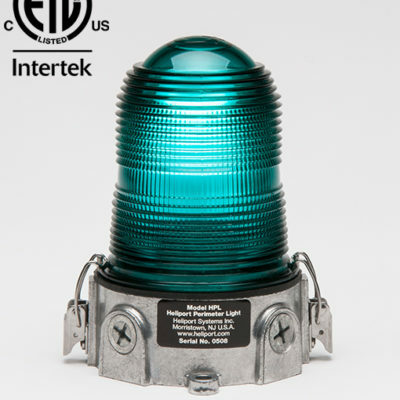 The pilot tunes his radio to the frequency (published or unpublished) programmed inside the Model ROLC, then keys his transmitter either 3, 5, or 7 times in quick succession to turn ON up to three groups of airfield lights – either Individually or Incrementally in conformance with FAA Specification L-854. 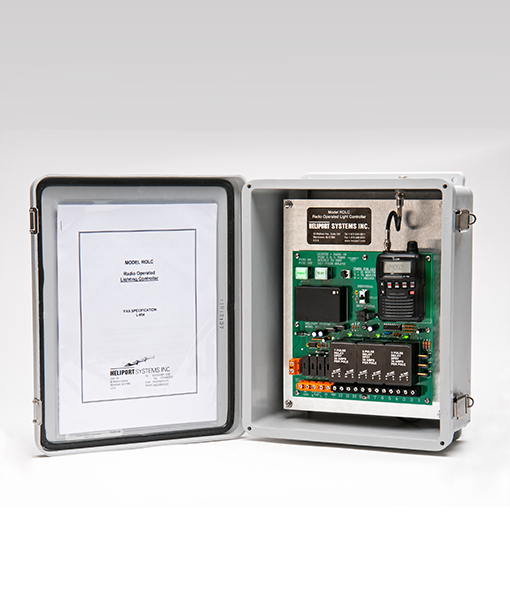 Inside the unit, a timer turns the lights off automatically, adjustable 15-60 minutes. 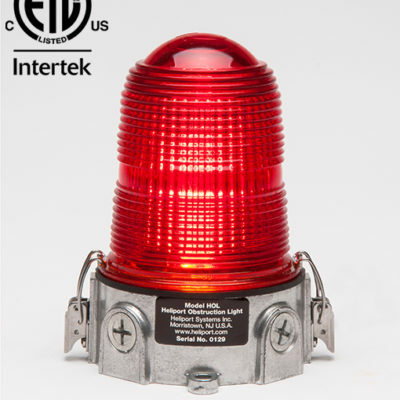 As an alternative, the unit can be set to permit the pilot to turn off one group of lights at any time. 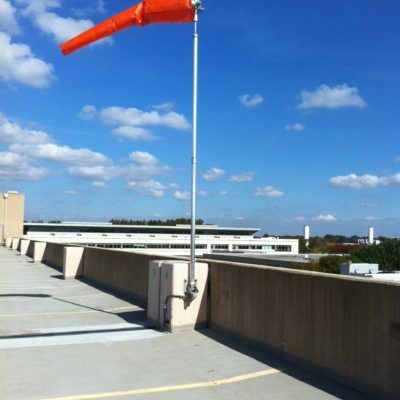 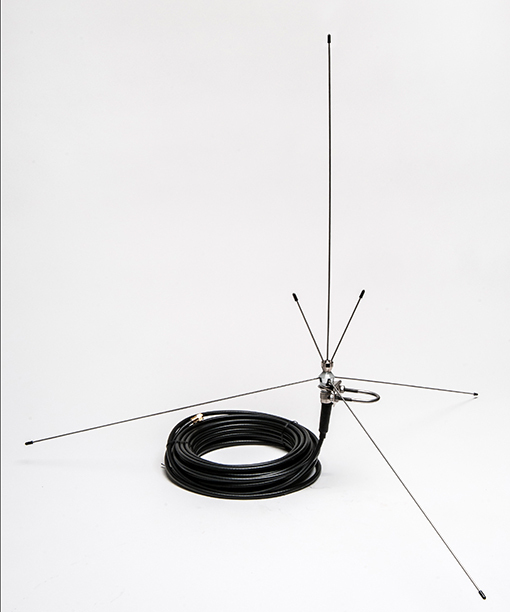 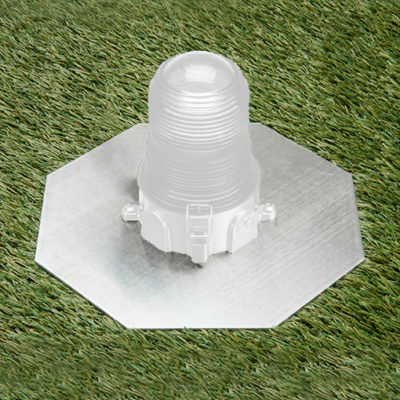 The Model ROLC also can receive on other bands – signals from any radio transmitter utilizing Police, Fire, Emergency, Marine, and some military bands – permitting people to open or close a gate, turn on dock lights, etc.